There are some really great tools available in the market for managing multiple WordPress sites. We are not talking about running WordPress multisite network, which is a totally different thing. We are talking about managing separate installations of WordPress sites. Previously we showed you how to manage multiple WordPress sites with ManageWP, InfiniteWP, and MainWP. In this article, we will show you how to manage multiple WordPress sites with iThemes Sync. 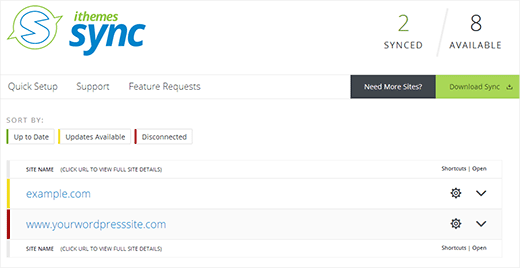 iThemes Sync is a WordPress maintenance plugin that allows you to update and backup multiple WordPress sites under one dashboard. Developed by the folks behind BackupBuddy, Sync allows you to easily manage backups on all your WordPress sites. It is a hosted service which means you manage your site from iThemes website. 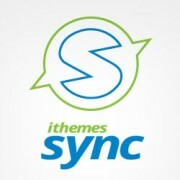 To install and setup iThemes sync, you will need to download the plugin from the iThemes Sync website. The basic plugin allows you to add up to 10 sites for free. If you want to add more sites, then you will need to purchase a subscription plan that fits your need. You will also need an iThemes account to download the plugin. This account will be used to manage all your sites. 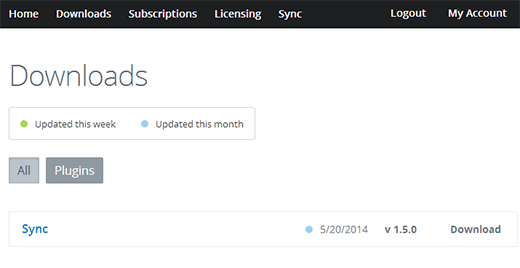 After signing up you will be able to download iThemes Sync from your members panel. Once you have downloaded the plugin, you need to install and activate it on all WordPress sites that you want to manage (see our guide on how to a install WordPress plugin). Upon activation, the first thing you need to do is enable iThemes licensing. Simply go to Settings » iThemes Licensing and provide your iThemes username and password. This will allow you to receive automatic updates for iThemes Sync. Next thing you need to do is to connect your site to iThemes Sync. You can do this by going to Settings » iThemes Sync and provide your iThemes username and password again. Sync will now connect your WordPress site to iThemes sync. You have successfully connected your site to iThemes, and you will now see a button that will take you to iThemes website where you can manage this site. You will need to repeat the process on all WordPress sites that you want to manage under one roof. iThemes Sync provides a single roof to manage all your WordPress site updates. After you sign into your iThemes account, you can click on the Sync tab which will show all the sites you have added to Sync. Clicking on a site in the list will show you more options for each site. It will show you the updates available for you to install, your backups, etc. 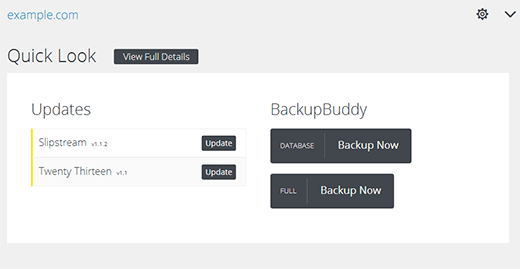 If you want to manage your backups with iThemes Sync, then you will need BackupBuddy which is one of the best WordPress backup solution. 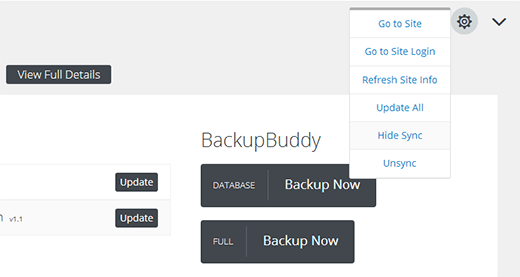 You must have BackupBuddy installed on a site in order for iThemes Sync to show your latest backups for the site. With BackupBuddy, you can even create new backups straight from Sync. The gear button next to each site will show you quick shortcuts. This includes a link to that particular WordPress site’s dashboard, so you can easily navigate through your websites when you need to add content or upload files. If you are a WordPress developer managing WordPress sites for your clients, then you can opt to hide the iThemes sync from a site’s admin menus. This will allow you to remotely and easily update your client sites with just one click. Another great feature of iThemes Sync is the mobile responsive design of the dashboard. This means you can manage your sites, update and create backups from your mobile devices. Like all iThemes products, Sync provides a great user experience. It will make it easy for you to take care of updates and backups for multiple WordPress sites. It will not let you write posts, or jump between sites without login. However, if you need to perform maintenance tasks only, then iThemes Sync is a great tool. We hope this article helped you manage multiple WordPress sites with iThemes Sync.